About | Mann House, Inc. 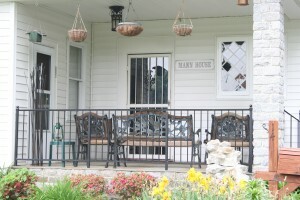 The Mann House, a private 501 (c) 3 non-profit established in 1971, has been serving the community successfully for over 40 years. We have been successful at helping those residents that are reluctant to recover from addiction, find success where only failure existed in the past. This is accomplished through strict discipline, accountability, close connections to alumni and the recovery community at large. We emphasize a combination of hard work, counseling, spirituality, proper diet, exercise, 12-step programs and time as our path to successful recovery from devastating addictions. We are located in downtown Bel Air, Maryland, walking distance to churches, local employment, 12-step meetings and all major shopping centers and local restaurants.